For the band, producer Alexander Milas (who contributed to Kerrang! and was an award-winning editor-in-chief of Metal Hammer, before starting his own creative solutions company, Twin V Ltd.) and director Phil Wallis, The Pursuit Of Vikings has been a true labor of love. 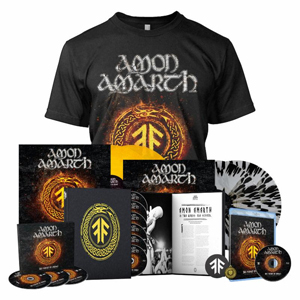 "I think I first became conscious of AMON AMARTH around the release of 2002's Versus the World," Milas states. "It was a really transitional time for metal, and it seemed there wasn't a credible band on the heavier end of the scale that hadn't in some way responded to or been influenced by the pioneering sounds of the Swedish death metal scene, but I distinctly remember thinking that there was something unique about these guys: the artwork, the thematic underpinnings, even that curiously timeless logo." 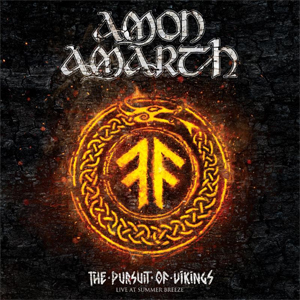 While their sound certainly displays strong echoes of the nation that birthed them, Amon Amarth arguably wield a unique aura, a "lusciously crafted escapism" that Milas likens to the classic bands he grew up with: DIO, IRON MAIDEN, and others who exist on a spectrum of their own making. "Cry of the Black Birds"
"A Dream That Cannot Be"
"The Last with Pagan Blood"
"For the Stabwounds in Our Backs"